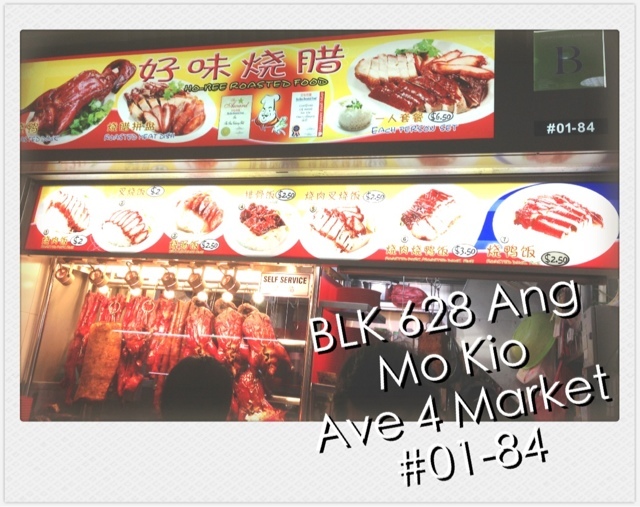 For those who have been to the market at 628 in Ang Mo Kio would know that it is always packed during lunch hours. 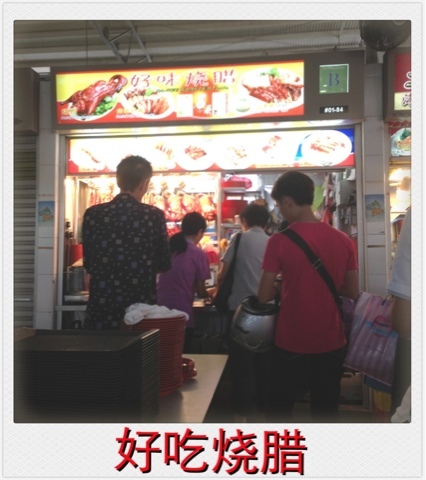 (well which place isn't packed during lunch hours :P) Be prepared to queue for at least 20 mins for your lunch. Though I often goes to the marker during my lunch break but often due to the long queue, i would settle for something else. Therefore, I decided to come during my dinner instead. As you can see, even during dinner time where most of the other stalls are closed there's still people queueing!! As you can see the prices are really cheap. 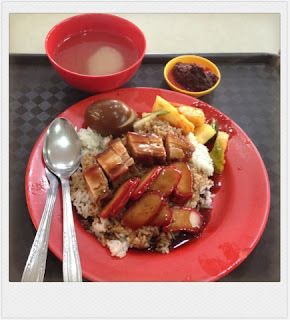 For a plate of char siew rice its only $2. 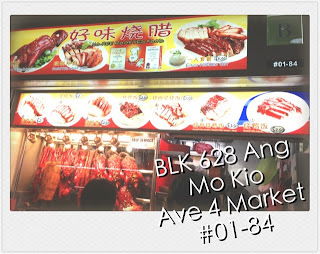 Frankly where are you able to find $2 food that can fill you up as well as satisfy your tastebuds? Here comes my long awaited dinner for the day! 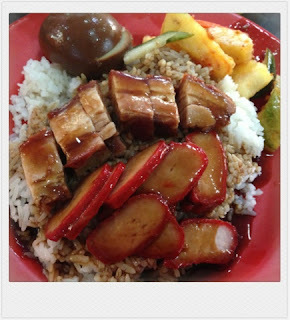 I ordered the mixture of char siew and roasted pork rice with an additional of braised egg. The achar comes free together with the soup. How much do you think this cost me? Its only $3 !!!!! Here's a close up of my dinner of the day from Ho-Bee Roasted Food. The rice is soft and fluffy which i liked. Char Siew is ok , I preferred those with slightly charred sides :P This is more of a healthier choice though compared to those that are charred char siews. The best is the roasted pork. The skin crackles when you first bite it... and the meat isn't tough but tender instead. A great combination of crispness and tenderness of the pork. Braised egg is usual braised egg nothing to rave about. The achar is something that added value to the whole as most of the stalls nowadays does not serve achar or even sliced cucumbers anymore. And with the rate you are paying... I would say its a very good deal!